A lender's charge to the borrower for paying off the loan before the end of the term. Lending practices that are unfair, deceptive or fraudulent. A type of security that signifies part ownership in a corporation and is given preferential treatment over common stocks. Sale of property after the death of the owner, supervised by a court, with proceeds divided among creditors and heirs. A written promise to repay a loan by a specified time. A legal disclosure that developers of timeshare properties are required to give to prospective buyers. The owner of a business or property. The province where an individual lives or intends to live permanently or for a long term, regardless of the individual's current location. Used in contract law it means "reasonable value of services." A form of bankruptcy where a person is appointed to take control of a company and is responsible for recouping unpaid debts. An insurance policy that is can be renewed without needing the policyholder to re-qualify for insurance coverage. An agreement to purchase an asset after a series of rental payments. A document that states the terms and conditions for tenancy of a dwelling. The purchase of a public company by a private company, often to avoid the IPO process. Additional insurance coverage that can added onto another insurance policy. A legal written document that details the agreed upon conditions between a seller and a buyer regarding the sale of a specific property. Also called an "Agreement of Sale." The loss of jobs due to changes in the climate and other conditions. Forestry, fishing and construction are affected by climate, while retailing is affected by seasons and holidays. For instance, at Christmas, retail employment is higher than in January. An agreement between the parties of a legal case. A document that details who has paid how much to whom. A certificate of deposit issued by a credit union that pays a specific dividend if held for a specific period. It's the credit union equivalent of a certificate of deposit. A penalty is usually assessed if all or any of the principal is withdrawn before maturity. A business owned by an individual where no legal distinction is made between the business and the owner. When you apply for a mortgage you will need a law firm with a lawyer's name and their contact information which would typically include the office location, phone number, fax number and e-mail address. A law which provides that certain contracts must be in writing to be enforceable at law. This includes real estate contracts. A period of time specified by statute within which an action at law must be brought or else be forfeited. Liability that is assigned by law and is not open for interpretation. A share of the ownership of a company. An arrangement where a tenant leases property to a subtenant. When an insurance company has the right to take legal action against a third party for damages. A charge levied when a life insurance policyholder cancels his or her policy. The contractual right for a life insurance or annuity policyholder to cancel his or her policy. The right of a person to secure ownership by reason of his/her outliving someone with whom s/he shared undivided interest in the land. The value of the work put into a house by its owner. This can be used in place of a full down payment. Up to and including 50% of a down payment. The length of time you commit to repay a lender or bank at an agreed upon interest rate and payment schedule. The interest rate usually remains constant during this term unless the commitment states otherwise. For example, a five year fixed rate mortgage has a term of five years. Evidence of a person's right to possession ownership of a property. A check of public records to make sure that the owner of real property has the right to transfer ownership. A title search is designed to spot gaps in the chain of title, liens, problems with the legal description of the property, judgements against the owner, and the like. An act that causes harm or loss. Let us shop the mortgage market to find the best product for you. 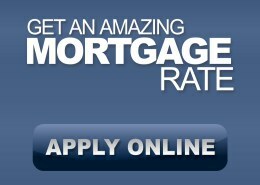 With dozens of lenders to choose from, we can secure the best residential mortgage rates across Canada.